My new 15″ MacBook Pro, which arrived overnight from PowerMax in Oregon. The urgency came when I spilled an entire mug of coffee on my MacBook Air yesterday morning. 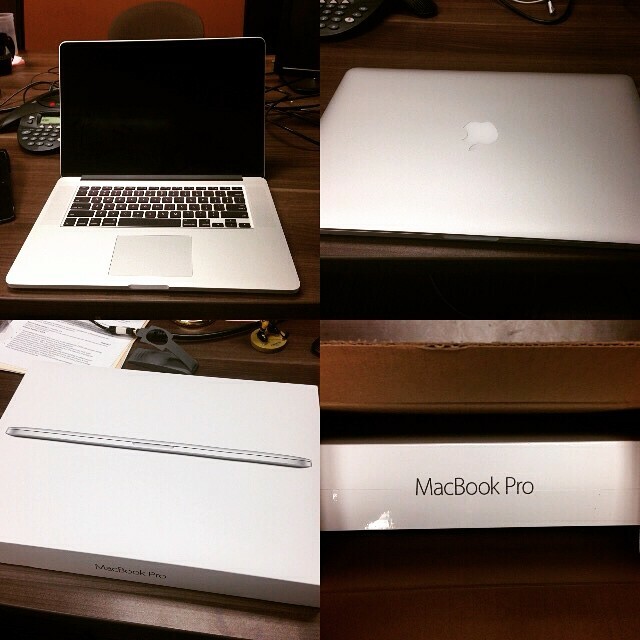 Home » Blog » Instagram » My new 15″ MacBook Pro, which arrived overnight from PowerMax in Oregon. The urgency came when I spilled an entire mug of coffee on my MacBook Air yesterday morning.